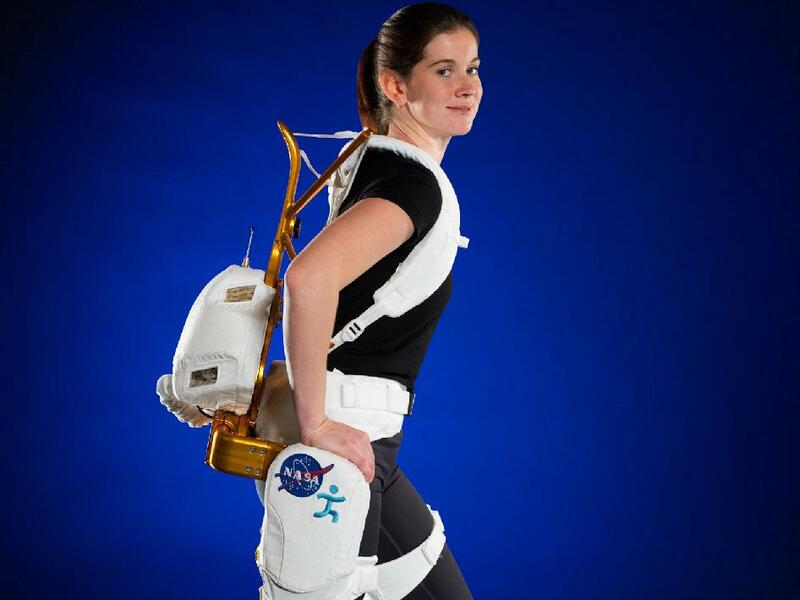 NASA’s Ironman-Like Exoskeleton Could Give Astronauts, Paraplegics Improved Mobility and Strength. Marvel Comic’s fictional superhero, Ironman, uses a powered armor suit that allows him superhuman strength. 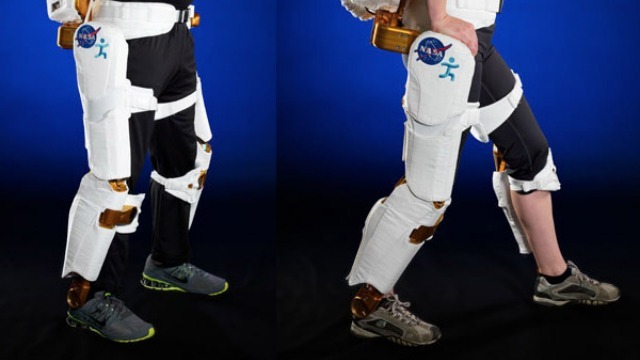 While NASA’s X1 robotic exoskeleton can’t do what you see in the movies, the latest robotic, space technology, spinoff derived from NASA’s Robonaut 2 project may someday help astronauts stay healthier in space with the added benefit of assisting paraplegics in walking here on Earth. Worn over the legs with a harness that reaches up the back and around the shoulders, X1 has 10 degrees of freedom, or joints – four motorized joints at the hips and the knees, and six passive joints that allow for sidestepping, turning and pointing, and flexing a foot. There also are multiple adjustment points, allowing the X1 to be used in many different ways. X1 currently is in a research and development phase, where the primary focus is design, evaluation and improvement of the technology. NASA is examining the potential for the X1 as an exercise device to improve crew health both aboard the space station and during future long-duration missions to an asteroid or Mars. Without taking up valuable space or weight during missions, X1 could replicate common crew exercises, which are vital to keeping astronauts healthy in microgravity. In addition, the device has the ability to measure, record and stream back, in real-time, data to flight controllers on Earth, giving doctors better feedback on the impact of the crew’s exercise regimen. As the technology matures, X1 also could provide a robotic power boost to astronauts as they work on the surface of distant planetary bodies. Coupled with a spacesuit, X1 could provide additional force when needed during surface exploration, improving the ability to walk in a reduced gravity environment, providing even more bang for its small bulk. Here on Earth, IHMC is interested in developing and using X1 as an assistive walking device. By combining NASA technology and walking algorithms developed at IHMC, X1 has the potential to produce high torques to allow for assisted walking over varied terrain, as well as stair climbing. Preliminary studies using X1 for this purpose have already started at IHMC. The potential of X1 extends to other applications, including rehabilitation, gait modification and offloading large amounts of weight from the wearer. Preliminary studies by IHMC have shown X1 to be more comfortable, easier to adjust, and easier to put on than previous exoskeleton devices. Researchers plan on improving on the X1 design, adding more active joints to areas such as the ankle and hip, which will, in turn, increase the potential uses for the device.